While at a show in Yorkton I sold the word BRA, and yes, the first letter is a Bra, to a shop called Under the Covers. Under the Covers is owned/operated by Phobee Decelles with store representatives Lola Toppi, and Vanessa Miles. 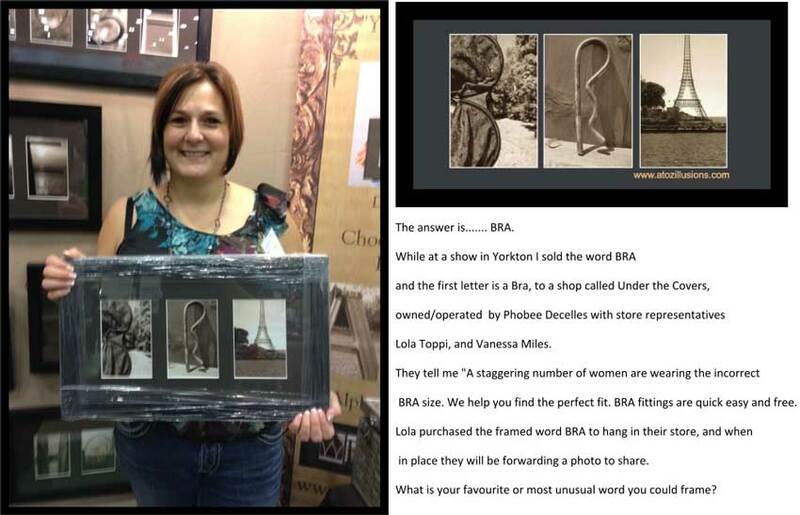 Lola purchased the framed word BRA to hang in their store, and when in place they will be forwarding a photo to share. What is your favorite or most unusual word you could frame? Subscribe to A to Z! What’s In the Blog Now?